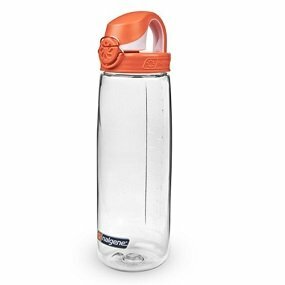 Nalgene’s newest leak-proof loop-top swings open wide to reveal a contoured, high-low drinking spout that’s easy to fill at the fountain or sink. One-handed push button for easy open/close; locking bail for ultimate insurance against leaks. 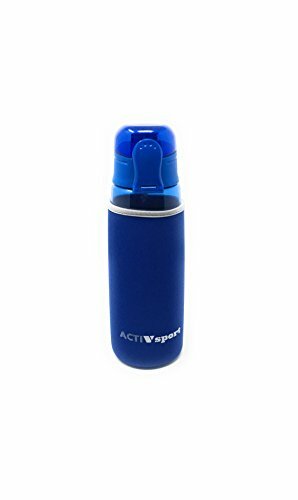 It is the eveloution of the On The Go (OTG) water bottle. The Nalegene On The Fly (OTF) fits in a cup holder and a bike’s bottle cage. 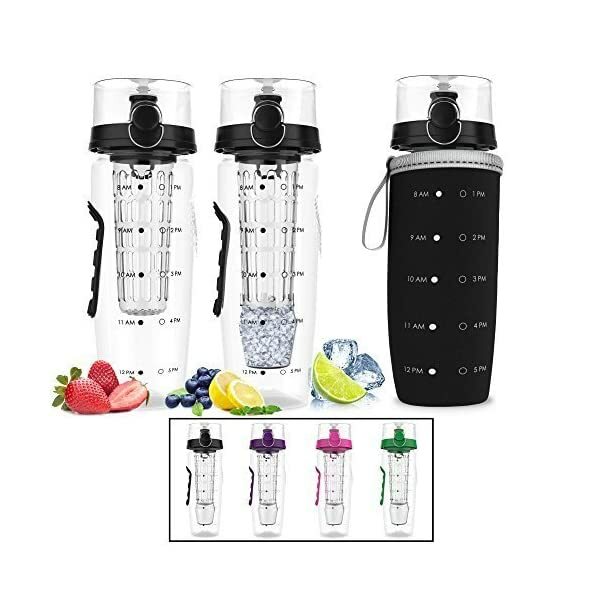 The BPA-free Tritan material lets you taste what is in your bottle. And now, with the locking bale, the bottle is leakproof.